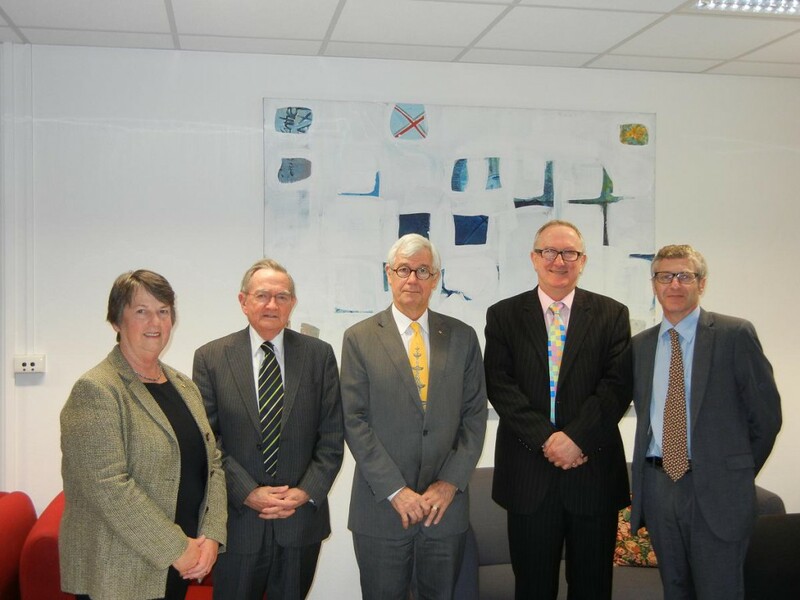 ‘Speaking Plainly’ was the title of the Australian Academy of Law’s inaugural public lecture in South Australia, which was presented by Mr Julian Burnside AO QC at Adelaide Law School on Monday, 25th August 2014. The President of the AAL, the Hon Kevin Lindgren AM QC, welcomed over 200 members of the judiciary, the legal profession, law academics and students and provided a brief history of the Academy. Justice Kevin Nicholson, who along with Mr Martin Hinton QC, the Solicitor-General for South Australia, and Professor Rosemary Owens AO formed the local organising committee, introduced the speaker. After outlining the principles of strong and effective advocacy with some entertaining examples, Mr Burnside addressed the more existential question of ‘who do we think we are?’ through a focus on Australia’s response to asylum seekers and to the issue of climate change. Mr Burnside then responded to questions from the audience. Afterwards guests were invited to join the speaker and AAL fellows for Refreshments in the Moot Court. More than 25 members of the academic staff and alumni of Adelaide Law School are fellows of the AAL. This entry was posted in Events, News and tagged adelaide law school, Australian Academy of Law, Mr Julian Burnside AO QC. Bookmark the permalink.